The hosts have a perfect home record so far this campaign but with a 2-3 record going up against a 4-1 record, this could be a rather intriguing tie in the Greek capital. 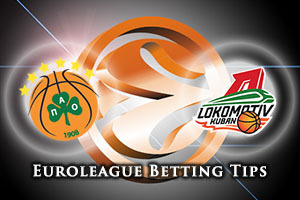 Panathinaikos lost out the last time these two teams met and Lokomotiv will be looking to do the double in this match-up. While they have not been at their best so far this season, there is no doubt that when Panathinaikos are at their best, it is down to the form of their guards, Dimitris Diamtidis and Nick Calathes. If Lokomotiv can ensure that these two players have a quiet night, the hosts may struggle once again. The area where the Greens have struggled is with respect to team rebounding at the moment, the Greek side is ranked third bottom in the league. There is a need for improvement but there is plenty of scope for improvement for the home team, but they need to start showing up on a regular basis. With a 4-1 record and a win against the Greeks already this season, Lokomotiv shouldn’t feel inferior heading into this game. They have benefited from a number of strong individual performances over the season with Chris Singleton delivering an excellent showing in Round 1 of the season. This saw him grab 16 points and 9 rebounds and he was at the heart of the fourth quarter run that made all the difference in the game, with 6 of the 12 points scored without reply for Lokomotiv. With Victor Claver in excellent shape, there is a lot for Kuban Krasnodar to feel good about coming into this game on Friday night. Even with everything running well for Lokomotiv, the bookies seem to think that this is the night the hosts take control of their season. 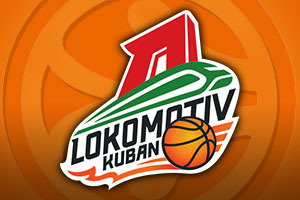 Taking Lokomotiv Kuban Krasnodar at +6, at odds of 1.90, is likely to be a great bet going into the weekend. For the Over/Under market, look to go OVER 147.5 at odds of 1.90. Bet Now!